This DFRduino Player module is a MP3 module compatible with .net gadeteer.The Player is able to play MP3/WAV/Midi sound tracks on SD card. It supports two kinds of interfaces UART and gadgeteer which allow other microcontroller to talk to the player. You just put the audio files into SD card. Arduino or other microcontroller will play the audio files by sending the relevant name of audio files. The play is thus able to be controlled by PC. 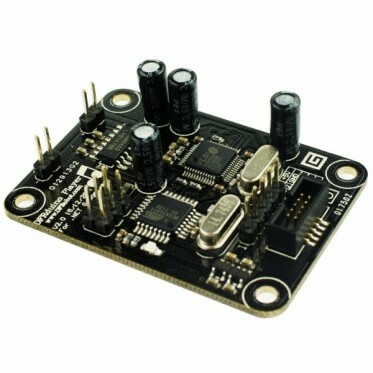 In addition,this module provides a port which will output high level after fishing a song.Now, it is the time to make your project talk with DFRduino Player module. This module isable to be powered by 5V or 3.3V which make it compatile with both Gadgeteer, Arduino DUE 3.3V system and standard Arduino UNO/Mega 5V system.